VATICAN CITY (CNS) — Pope Francis urges families to discover God’s love and be generous, forgiving, patient, helpful and respectful. Family life will be better if people use the words “please,” “thank you,” and “I’m sorry” every day, he said, and the world will be a better place if the church reaches out to the imperfect and the wounded. 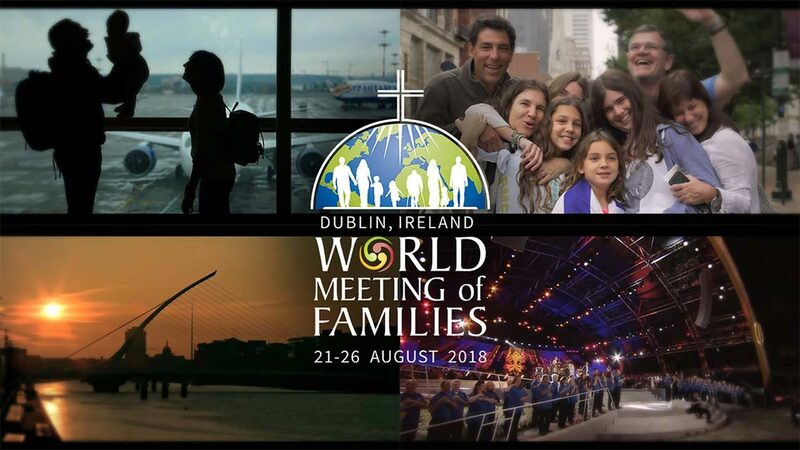 The pope’s reflection was part of a letter to Cardinal Kevin Farrell, prefect of the Dicastery for the Laity, Family and Life, which is helping plan the World Meeting of Families in Dublin, Aug. 21-26, 2018. The Vatican released the text of the pope’s letter March 30. When asked about the pope’s plans to attend the event next year, Cardinal Farrell told reporters at a Vatican news conference, “We hope. I can’t say absolutely” since it depends on the pope’s schedule, but the pope has expressed his desire to go. “Does the Gospel continue to be a joy for the world? And also, does the family continue to be good news for today’s world?” the pope asked. “Only starting from love can the family manifest, spread and regenerate God’s love in the world. Without love, we cannot live as children of God, as couples, parents and brothers,” he said. Every day, people experience fragility and weakness, Pope Francis said. All families and pastors need humility so they will become better disciples and teachers, better at helping and being helped, and able to accompany and embrace all people of goodwill. “I dream of an outbound church, not a self-referential one, a church that does not pass by far from man’s wounds, a merciful church that proclaims the heart of the revelation of God as love, which is mercy,” he said. Archbishop Diarmuid Martin of Dublin told reporters that the pope’s letter shows the clear, central role families have in the pope’s great dream of renewal of the church and society. Happy, loving families should be recognized and be a resource for the renewal of the church and world, he said.